With determined research, Candid Themes are here with one best free search engine optimized WordPress theme named Ocius. 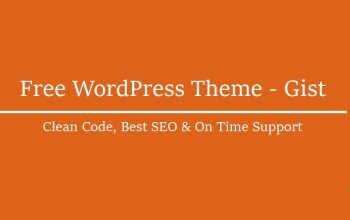 If you are looking for an awesome free WordPress theme for the blog, you can go with this theme. It is totally developed with SEO and speed in mind. Because of this, Ocius is one of the best ever theme crafted for the blog, news or magazine site. In addition to that, it is properly coded, reviewed by experts reviewers, designed by experienced designer and checked by skillful QA analyst. So, don’t worry about quality and security. Why Free Search Engine Optimized WordPress Theme Ocius? You might have the question that, instead of using so many other free WordPress themes, why Ocius? It is obvious because choosing the right theme is always confusing. Hence, here we are going to list some incredible features that Ocius have. Less than 1 MB theme file size. Easy to use, but features riched. Fully responsive – no matter which device will your visitor use. Blog page options – Sidebar, Pagination types, Read More text, excerpt length, etc. Font Option – You can use any google font for your site. 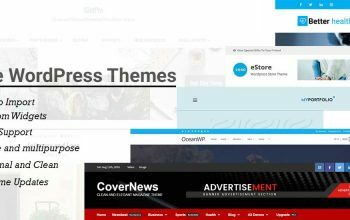 Because of these above-listed features, Ocius is the best free search engine optimized WordPress theme. Lets elaborate some key features below. With the help of dummy data, it is very easy to make the site like the demo. You can easily download the dummy data from documentation and can import in your website. At first, download the dummy data and extract it. After that, go to Tools > Import > WordPress(Install it first) and then import the XML file. Just after the successful import of dummy data, go to appearance > customize and check all the settings of theme there. Author widget, Featured post and social icons widgets are available in this theme. You can use all these available custom widgets on all the widgets area. Author widget will help to showcase the information of the author including name, descriptions, image and social profile links. Moreover, featured post widget will help to display the content of the selected category on the sidebar. Social icons widget will help to show the social menu on the sidebar. If you want to make your blog page two column, you can select the two column layout from the customizer to make it. Honestly speaking, this theme is easy to use and make two columns or one column. You can easily change the font of the site and can add your required google fonts. Customize the google fonts and use it on your site. It will help you to make your awesome site. Without any delay, download this free WordPress theme and start making your website for free. If you need any additional settings, you can go with the premium version. Premium version has so may added options to customize your site. You will get dedicated supports too. Don’t hesitate to write to us if you have any suggestions or queries.